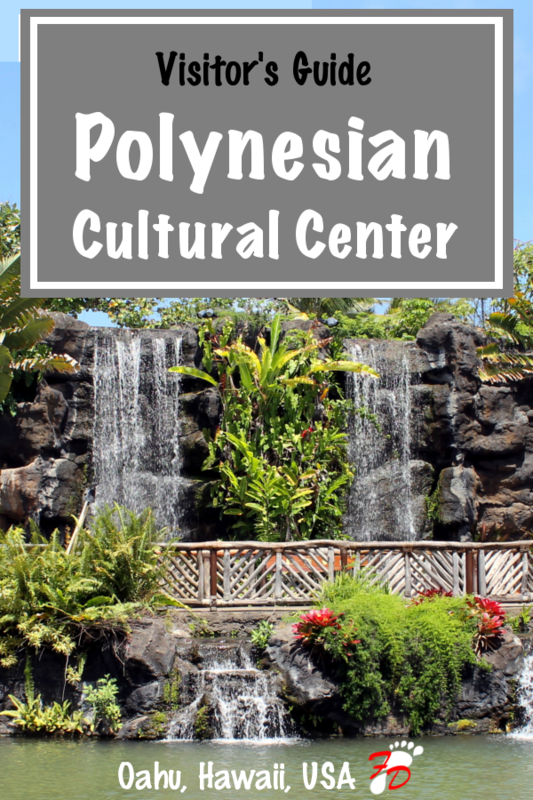 What is the Polynesian Cultural Center? Considered one of the top attractions in Hawaii, the Polynesian Cultural Center preserves and showcases the culture of the Pacific Islands. Within the Polynesian Cultural Center are six different villages, each one representing the culture of a different island. At each of the villages, visitors can enjoy performances, games, dances, and customs unique to that island and culture. Aside from visiting the various villages, other activities include a dinner luau, canoe rides, a theater performance called “Ha: Breath of Life,” and more! Sound fun? You bet it was! 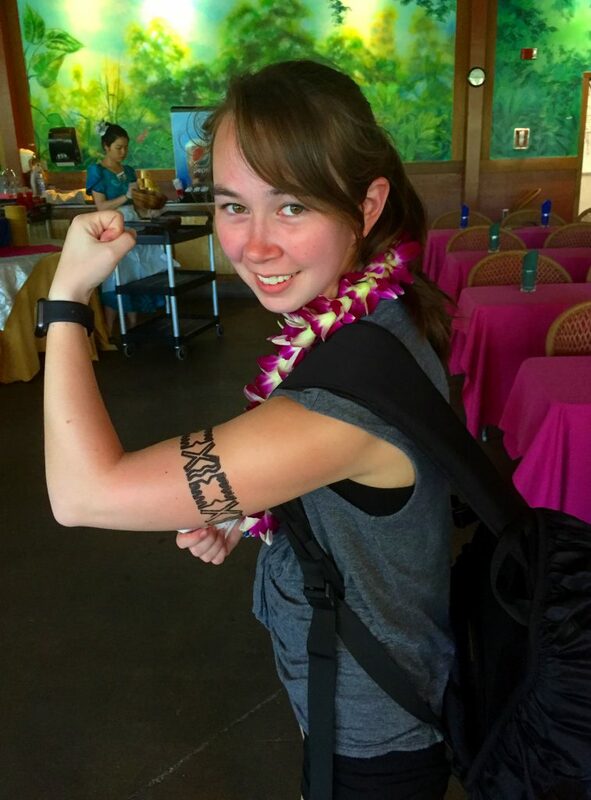 Find out what it’s like to spend a day at the Polynesian Cultural Center in Hawaii, USA! My mom and I made it to the Polynesian Cultural Center around 12:15PM and immediately headed to the first show we wanted to see at the village of Aotearoa (present day New Zealand). 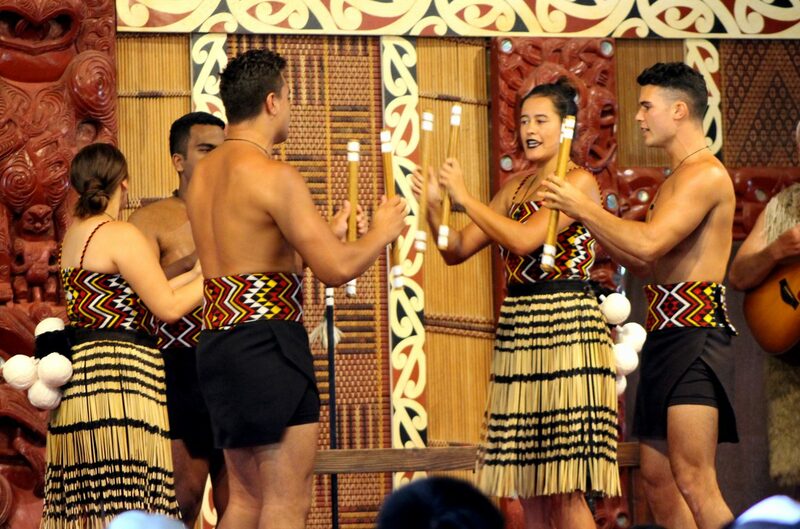 There, the Aotearoa representatives showed how people from different villages of Aotearoa would greet one another. After, they demonstrated one of the games they played where you toss sticks to one another to the rhythm of music. They ended their demonstration by showcasing a few of the dances unique to their culture. After the presentation, I managed to talk to one of the representatives standing outside, who I soon found out was a student at the nearby Brigham-Young University. I decided to ask him why he had decided to work at the Polynesian Cultural Center and if it had been hard for him to learn everything for the performance. He had said that he had chosen to work at the here because it helped with his schooling. Plus, his family was from Aotearoa, so he had grown up with this kind of stuff. It turned out that a majority of the workers at the Polynesian Cultural Center were students at theBrigham-Young University, many of whom originated from the Pacific Islands. When we were done chatting with the Aotearoa representative, we made our way to the Hawaiian Journey, which is a 4D theater that has a video showcasing the beautiful scenery of Hawaii and it even gives a little narrative. However, take note that if you get motion sick, this might be something you want to skip. The filming style and moving theater seats might be enough to make you dizzy. Once the movie was over, we made our way to the south end of the culture center to get seats for the canoe pageant. A small river runs through the middle of the culture center and around 2:30PM, performers from each of the villages get on one of the canoes and performs the dances unique to their culture. It was amusing to watch, because it gave you a brief insight into the various villages, especially if you haven’t had a chance to actually visit the villages yet. One of the groups even had a little fun and rocked the boat so hard that their canoe pusher fell into the river. After the canoe pageant was over, we made our way to the village of Fiji and found that they were doing temporary tattoos. They had what looked like strips of leather, each with a different design cut into them. Each of the designs had their own meaning to the culture. Then, ink was painted on to the leather strip and put wherever you would have liked. I got the tattoo for “warrior” on my upper arm, but I saw a few people with the “warrior” tattoo going across their face. Between the luau and the final performance of the night, we had extra time to go back and explore some more, so we headed to the canoe area. There, we were able to ride in one of the canoes and get a full tour of the culture center from the water. The canoe pusher gave us some fun facts of all the different villages and even taught us how to say hello in the various languages. Around 3:30PM we made our way to the pavilion where they would be holding the luau. We were given a lei as we walked through the entrance and then found our seats. Once the luau was underway, the speaker for the night welcomed us all to the luau and then also invited us to see them cooking our dinner. However, I decided to pass on that because they were cooking a pig, and I really didn’t want to see that. Once the food was done, we were free to head up to the buffet and get our dinner. While we ate, several of the villages performed more dances, different than the ones we had seen in the canoe pageant. They even had some kids from the villages go up and perform dances. 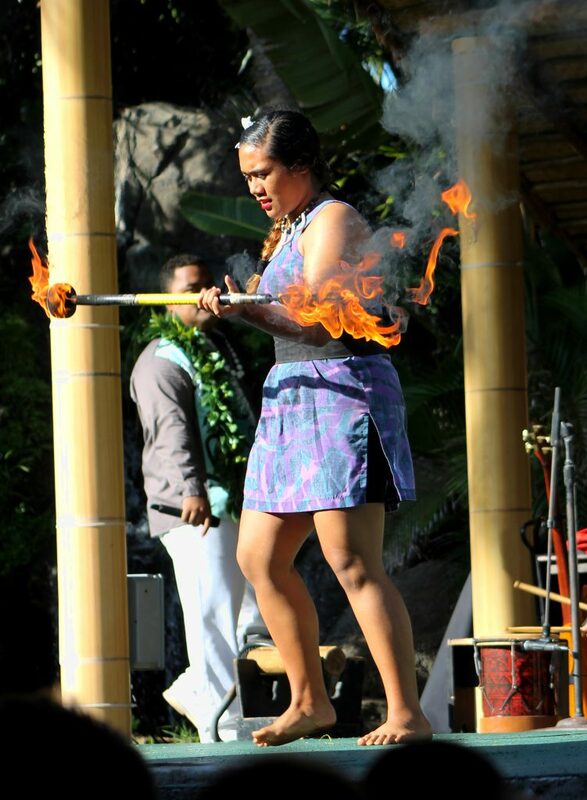 They ended the luau with a girl who did a fire show. She had a pole, both ends lit on fire, that she did tricks with, including spinning it around, throwing it in the air, and all sorts of other tricks. The Ha: Breath of Life show was pretty incredible. The story followed a boy as he grew into a man and showcased the many stages of life. While featuring all of the villages, their dances, and overall culture, it also managed to incorporate a story line and even some comedy. Lastly, the show ended with a spectacular fire show. Unfortunately, no photography of videography of the show is permitted. However, video and audio recordings of the show are available for purchase in the gift shop. They can also be ordered online through the Polynesian Cultural Center’s online store. Where is the Polynesian Cultural Center? The Polynesian Cultural Center is located on the North side of Oahu along Kamehameha Highway (HI-83). Since it is on the opposite side of the island from Honolulu, it will take about an hour to get to there by car. However, I would give yourself closer to an hour and a half to get there in case you get lost or stuck in traffic. There is a lot to do at the Polynesian Cultural Center and not a lot of time to do it, so you want to make sure you are there right when it opens, and there is plenty to do in the area if you arrive early. Also, parking is free, which is a plus. If you don’t plan on renting a car while in Hawaii, the Polynesian Cultural Center also offers a shuttle service for an additional cost. The Polynesian Cultural Center hours are from 11:45AM – 9:00PM, but various parts of the center and activities deviate from these hours, so please see the table below for a detailed timeline. Activities are “come and go as you please,” meaning they run all day. You can visit the villages, get canoe rides, and more during their hours of operation. However, know that each of the villages have special presentations at specific times. To see the different presentation times for the various villages, please check the Polynesian Cultural Center website. Events happen at specific times of the day and only occur once. You can see their start and end times below so you can plan your schedule around them accordingly. The Polynesian Cultural Center currently offers eight different ticket options. Which one is best for you will depend on what kind of experience you want to have. The general admission ticket just gets you in the doors to the Polynesian Cultural Center. You can visit all the villages, see the 4D movie, and watch the canoe pageant. It does not include admission to dinner or the evening show Ha: Breath of Life. 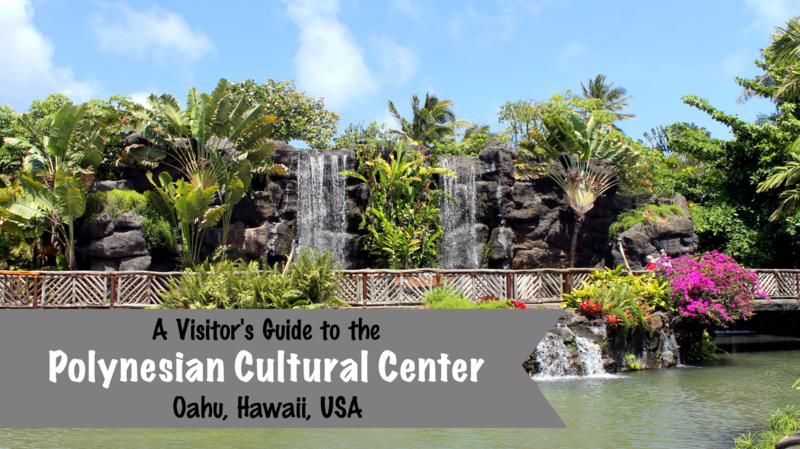 When my mom and I visited the Polynesian Cultural Center, we decided to do the Ali’I Luau Package, which includes admission to the villages, luau, and decent seating at the Ha: Breath of Life show. Other upgrades include the circle island and ambassador packages. In general, the circle island upgrades include morning tours of other popular sights on Oahu. If you plan on doing other sightseeing while in Hawaii, it might be worth checking out the Circle Island packages to see if you can bundle any of it together. The ambassador upgrades provide some sort of guided tour option, whether it be a guided tour of the villages, a backstage tour of the Ha: Breath of Life show, or both. Prices are as of March 21st, 2018. Please check their website for the most up to date pricing. The Polynesian Cultural Center is located on the campus of Brigham Young University – Hawaii and is operated by The Church of Jesus Christ of Latter-day Saints. It was originally created to help bring money to the townsfolk and college students who had moved to the area. Although Brigham Young University – Hawaii has students from all over the world, many of them originate from the Pacific Islands. Today, approximately 70% of the culture center’s employees are students at Brigham Young University – Hawaii. The profits from the culture center are not only re-invested into the facility, but they are also invested into the students through scholarship programs. By visiting the Polynesian Cultural Center, you not only get to learn about another culture, but you also get to help support the preservation of that culture and help local students advance their education. Souvenirs and gifts purchased through the online store also benefit the Polynesian Cultural Center’s goal. If you are interested in learning more about Bringham Young University – Hawaii and The Church of Jesus Christ of Latter-day Saints, there is a tram tour that is part of the Polynesian Cultural Center but takes you out into the area surrounding the culture center. Personally, I thought the university and temple were impressive sights, but overall wasn’t super interested. I was more fascinated by the Polynesian Cultural Center itself as opposed to its history. Personally, I would suggest that you try and have a least a rough idea of what you might want to do at the Polynesian Cultural Center before you get there. There is A LOT to do, and chances are you won’t have time to do it all, especially if you decided to do the luau. Looking back, I don’t feel like I really got to visit many of the villages. You can download the Polynesian Cultural Center mobile app on iTunes and Google Play to help you navigate while you’re there. Thankfully, all of the villages are showcased at the canoe pageant, luau show, and Ha: Breath of Life theater performance, so I still got to appreciate all of the cultures. Even so, I wish I would have been able to go more of the individual villages. I suggest checking out the Polynesian Cultural Center website in advance so you can check out the different villages get an idea of how you want to spend your time. Also, tickets to the Polynesian Cultural Center are good for three days, which means you can revisit the culture for free within 3 days of your initial visit, so you can always go back if you didn’t get to see everything. Also, I probably would have skipped the 4D movie. It was really incredible seeing the beauty of Hawaii, and is good if you have time to fill, but I would definitely prioritize visiting the different villages over seeing the movie. If English is not your native language, they do offer special tours in several foreign languages for an additional cost. There are a few small and large lockers available on the premises for storage of personal items. They can be rented for three hours at $5 or all day for $10. You can access them however frequently you wish during your rental period without having to pay again. Please check the website for exact storage locker dimensions. Overall, the Polynesian Cultural Center was a unique experience and an interesting one. I got to learn about various cultures and history of each of them. It isn’t something that you learn in your normal history class, and I got to have a blast doing it. What more can you ask more? 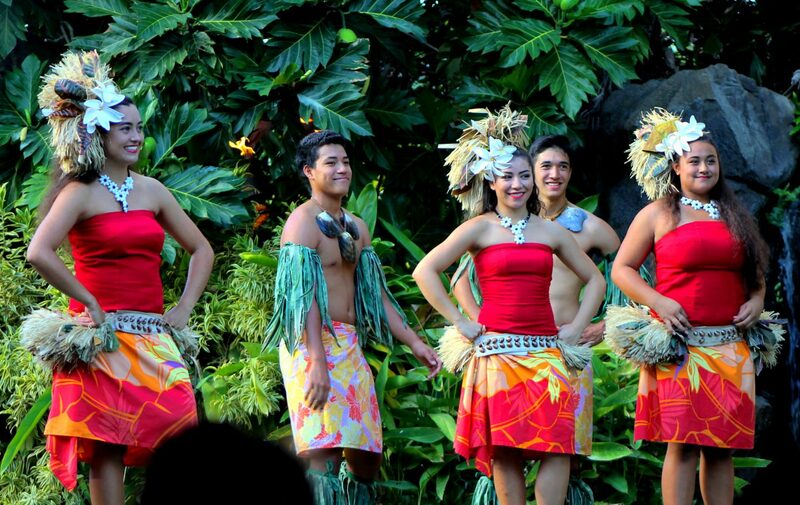 So what do you think of the Polynesian Cultural Center? Does it sound like a place you would want to visit? Have you been there? Share your thoughts with me in the comments below!